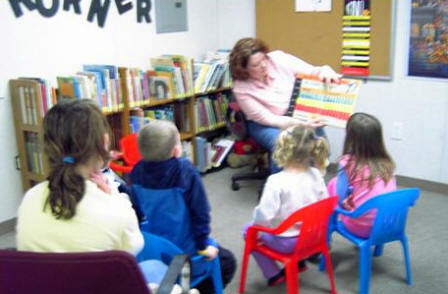 Children attended a Craft/Story Hour on Saturday at the Monroe Lending Library. They learned how to set a table by making their own placemats to take home. They also enjoyed listening to a good manners theme book. Everyone had a great time. Story Hour only will be Saturday the 18th beginning at 11 am.